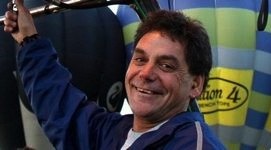 We remember with affection Lance Hopping who died suddenly piloting a balloon in our region. Lance was a truancy officer in our region, and undertook this role with firmness but with kindness. He has worked positively with many families in our Eastside area, and they will remember him as someone who tried to support them and their children at school. We also remember all of the other 10 people, some of them local and others visitors to our wonderful region who also tragically lost their lives in the accident.